It is very important that a clothes dryer is used as per the manufacturers specifications, if they are not used correctly they can quickly become a fire hazard. 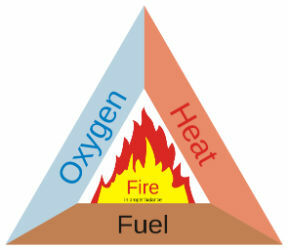 You may have seen the fire triangle in the past, the three elements you need to sustain a fire are – heat, oxygen, and fuel. As you can imagine a poorly maintained or incorrectly used clothes dryer create the perfect environment to start a fire. Any clothing or fluff that gets too hot and begins to smolder has plenty of oxygen to ignite. This is the number one rule of dryers, you must clean the lint filter after each load. This not only saves you money and cuts down on drying time but it prevents the machine from overheating. If your machine cuts off it is usually a sign the machine does not have good air flow, there could be a number of factors that have caused this but the first thing to check is that the lint filter is clean. It is important that you replace a torn filter. Torn filters allow dust and lint to enter the machine and once this builds up it can become an extreme fire hazard. The relentless heavy rains since Australia Day right through February have made having a working dryer a necessity for many apartment and high rise unit owners on the Gold Coast. Hanging your clothes inside to dry just does not cut it for many families. Always, Always, Always clean the lint filter after each load of washing, this not only makes your dryer run more efficiently and dry your clothes faster it reduces the risk of a fire starting.The volume of clothes many families go through on a week by week basis is far too much to try and dry out over clothes horses and furniture. By doing some simple preventative maintenance yourself you can help keep your dryer in running order. 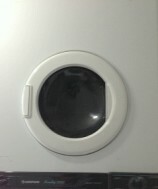 At least every few months check that any intake vents on the rear of the dryer are clear of dust and fluff. This is neglected for years on dryers that are hung on walls, this reduces the air flow through the appliance and can cause them to over heat and cut out. Simply vacuum off any dust from the intake vents to keep the dryer running at optimum efficiency. Check the filter for tears or holes, if the filter has a hole replace it immediately as fluff can pass through the hole and lodge on the heater, greatly increasing the risk of fire. You can order spare parts online at appliance-repair-parts.com.au and have them sent to you. It is important to keep your fridge clean and in good running order. Food that is not kept at the correct temperature can quickly begin to turn rotten. This food can harbor bacteria and when digested can cause food poisoning. Many side by side fridges and older fridges need their condensers cleaned of dust and pet hair (this is the black pipes underneath or at the back). When the condensers become clogged with dust etc. the refrigerator will not run efficiently and in extreme cases the fridge could stop cooling all together. With many modern fridges the condenser is enclosed inside the panels to give a cleaner look. We regularly get calls saying that the exterior panels of their refrigerator feel hot to touch. Manufacturers will install hot gas pipes or heaters just under the external panels to prevent condensation, so it is quite normal for outer panels to feel warm. If a large heat load, such as grocery shopping or a slab of beer has been placed in the fridge the panels will feel hotter than usual. It is not normal for a large layer of ice to be forming on the rear wall of a frost free freezer. You will normally notice that food is not as cold as it should be or ice cream and bread have gone soft. This is a sign that the freezer is not defrosting itself regularly. On average most frost free fridges defrost themselves every six to eight hours. On many occasions this is a sign that the internal drain is blocked and water will be found under the crisper bins or on the floor. Because fridge drains are always cold and wet a sludge forms in the drain and blocks it. Ice is another cause of drains blocking but sometimes this can be a sign of a more sinister problem. The sea air of the Gold Coast causes corrosion and rust on a lot of items and your fridge is not exempt. If you wipe down the outside of your fridge regularly this will help prevent rust. An additional layer of protection would be to apply car polish once or twice a year to the metal panels. Fridge magnets can trap condensation under them and exasperate the rust problem. Need help with your fridge? Give us a call on 5500 5744.